These cars cost well north of $1 million apiece, and even if you could afford one, you couldn’t have it. Just 499 Ferrari LaFerraris and 375 McLaren P1s will be built, and all have already been snapped up by a wealthy few who have collectively spent more than $1.3 billion in the pursuit of automotive nirvana. But that doesn’t stop us from asking the obvious question: If we had the opportunity to choose between them, which one would we own? 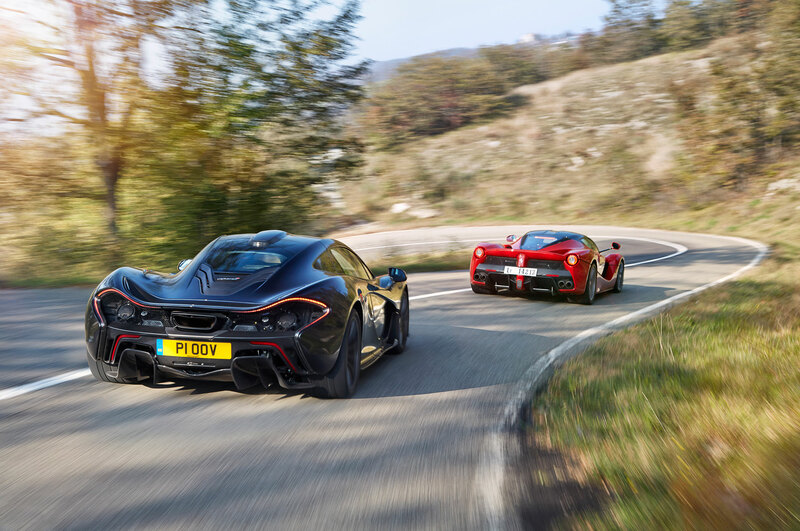 We drove a McLaren P1 from England to Ferrari’s ancestral homeland of Maranello to find out. 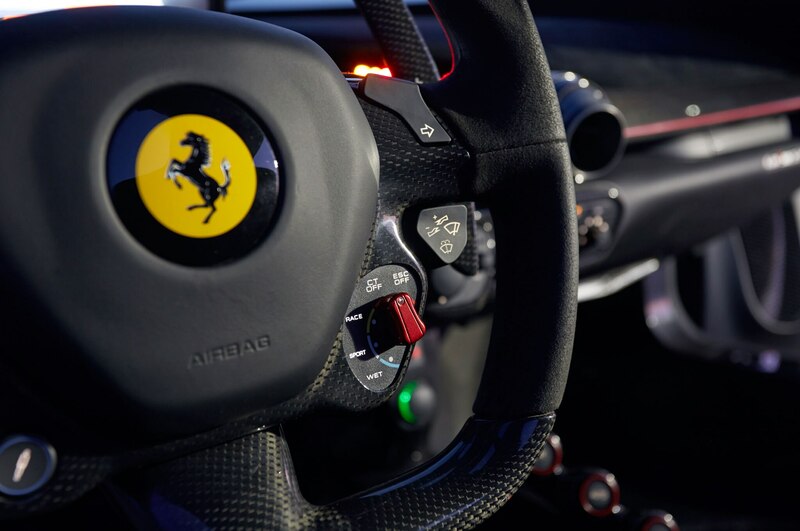 Welcome to the Prancing Horse’s den, McLaren. 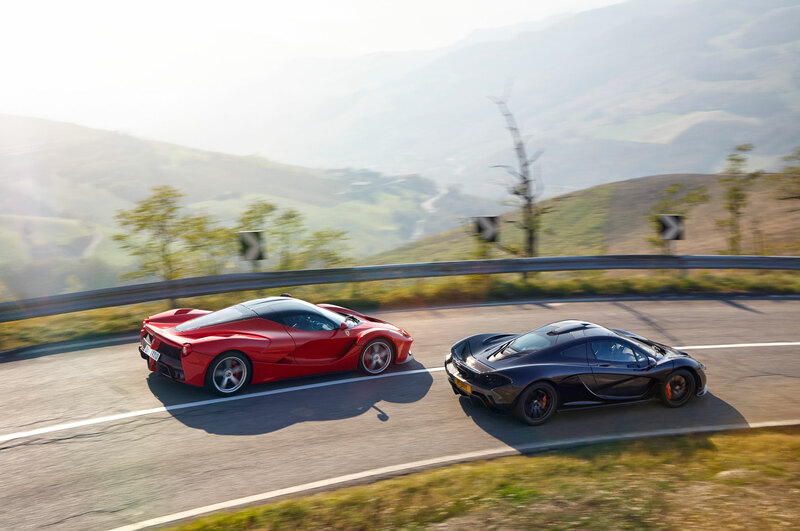 Just south of Maranello, where the topography gets interesting and Ferrari’s own test drivers play, there’s no disguising the obviously turbocharged sound and power delivery of the McLaren P1’s 3.8-liter V-8. Wind it right out to 8,000 rpm, though, and there’s an edginess to it that doesn’t disappoint. 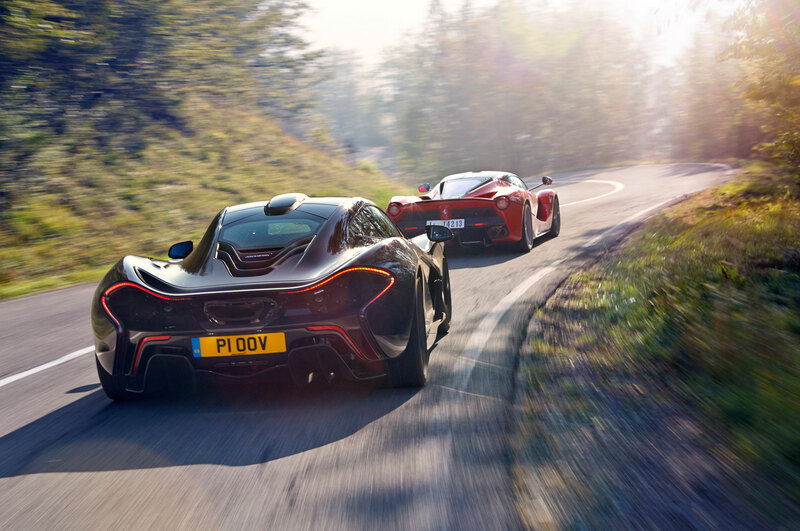 Blisteringly fast, surprisingly compliant, and wonderfully communicative, the McLaren P1 is as easy to drive as McLaren’s delightful 650S. 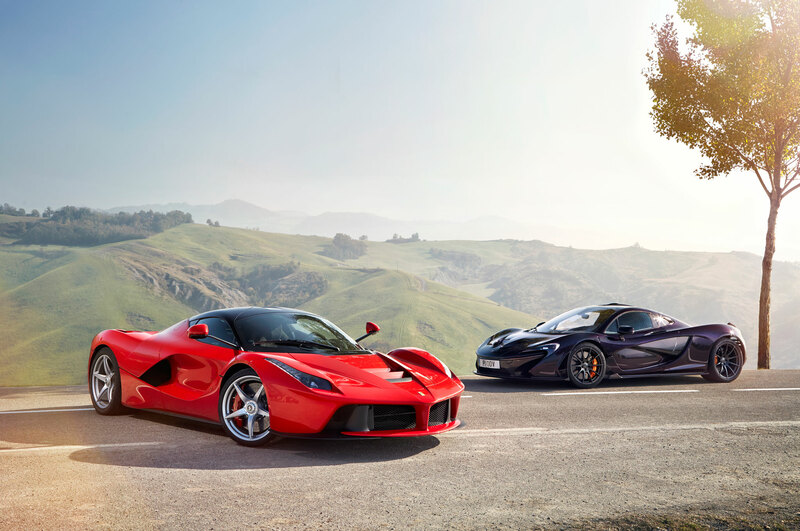 Not that money is really a concern for the buyers of these cars, but the Ferrari LaFerrari will need to be something special to justify its roughly $250,000 premium. Forget the snide Prius jokes. 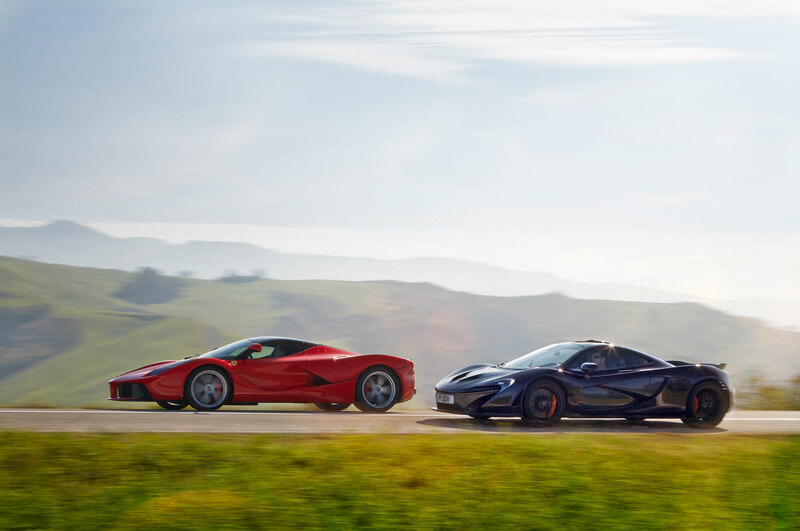 … Both these cars will hit 60 mph in less than 3 seconds, 100 mph in less than 5 seconds, and are limited—yes, limited—to 217 mph. 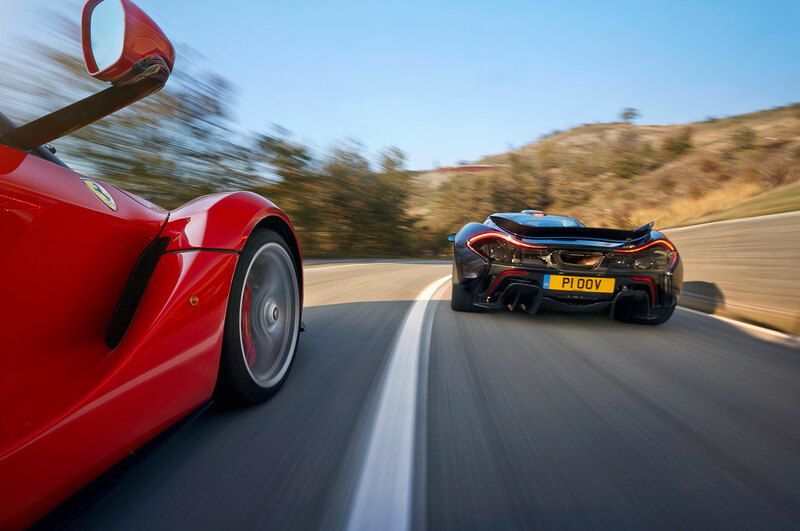 Pull the McLaren P1 alongside Ferrari’s hypercar, and it’s immediately apparent how strikingly different the two are in terms of design. 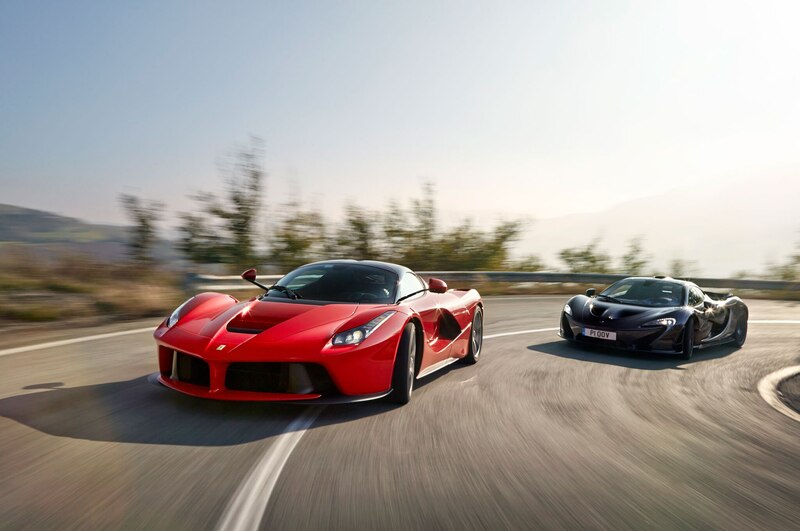 And size: The LaFerrari looks enormous. 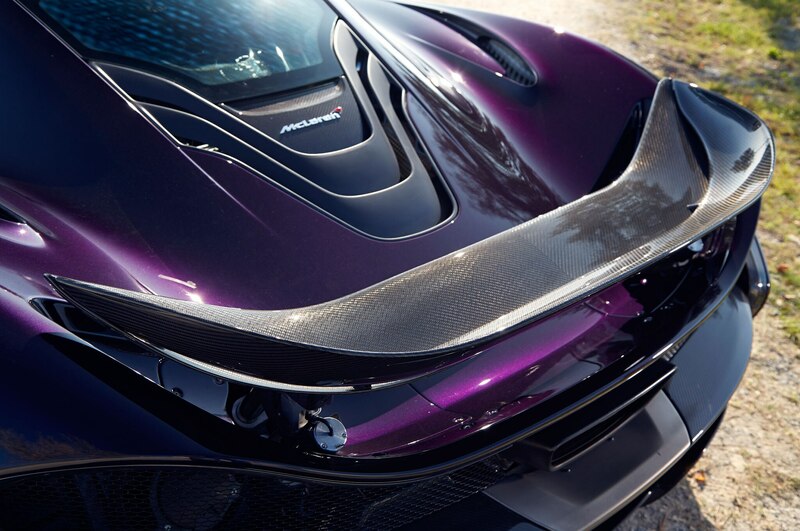 In fact, it’s 4.5 inches longer than the P1 and 1.8 inches wider but rolls on a wheelbase that’s 0.8 inch shorter, which results in the nose hanging way out over the front axle. The carefully sculpted bodies are case studies in airflow management from very different schools, and neither is what you’d call restrained. 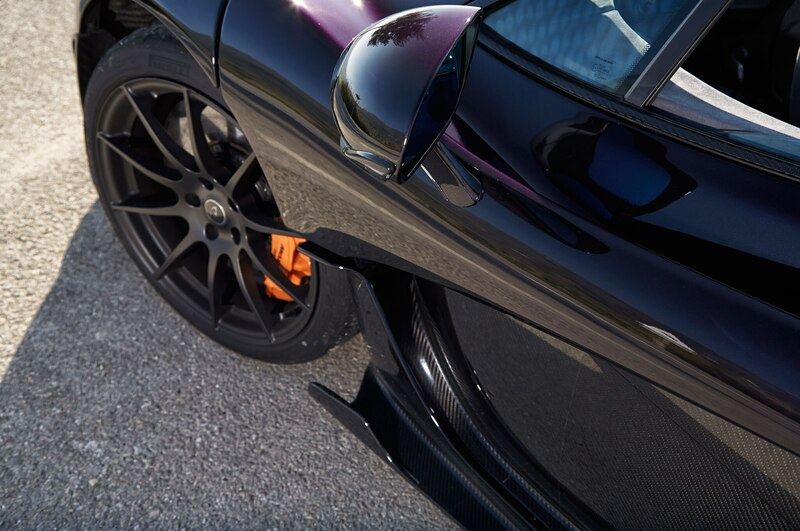 The McLaren’s swoopy surfaces help the car generate a staggering 1,323 pounds of downforce at 160 mph. Select Race mode, and it will snuggle 2 inches lower to the tarmac while the rear wing extends 11.8 inches. But the LaFerrari looks more extreme, with out­rageously scalloped flanks that leave the front fenders almost adrift from the car’s body. Both cars have Le Mans-style, bubble-canopy cockpits and movable rear spoilers that remain hidden from view until needed. 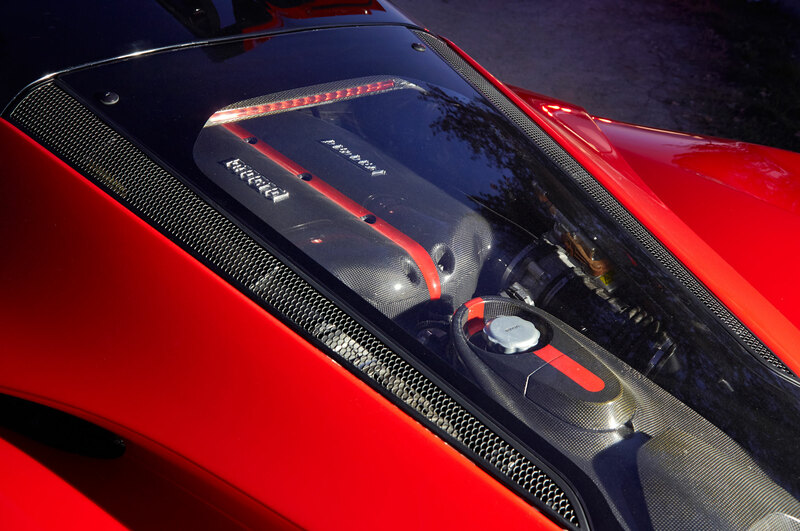 But only the Ferrari gives you a decent look into the engine bay, into the soul of the car. That soul is an evolution of the Ferrari F12’s 6.3-liter, naturally aspirated V-12 with 789 horsepower and a howling 9,000-rpm redline. (It will go to 9,250 rpm, briefly.) 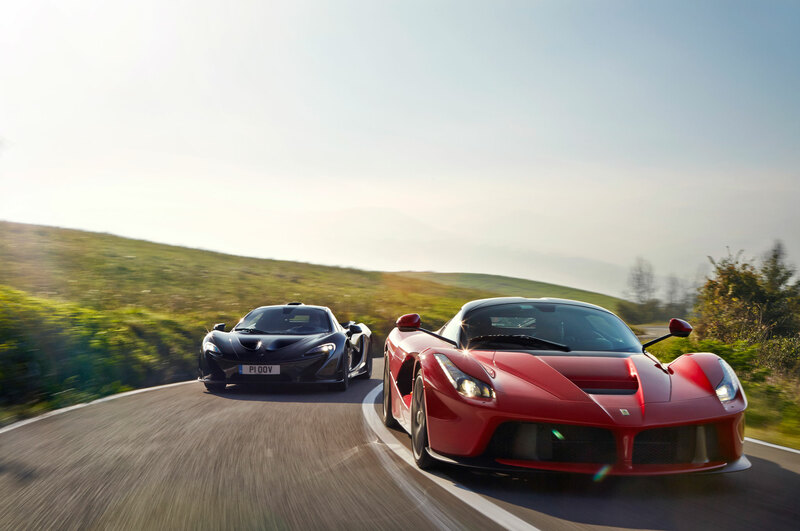 That would be enough to make it one of the world’s quickest cars, but there’s more: The LaFerrari’s mighty V-12 is augmented by an additional 161 electric horses for a total powertrain output of 950 hp. 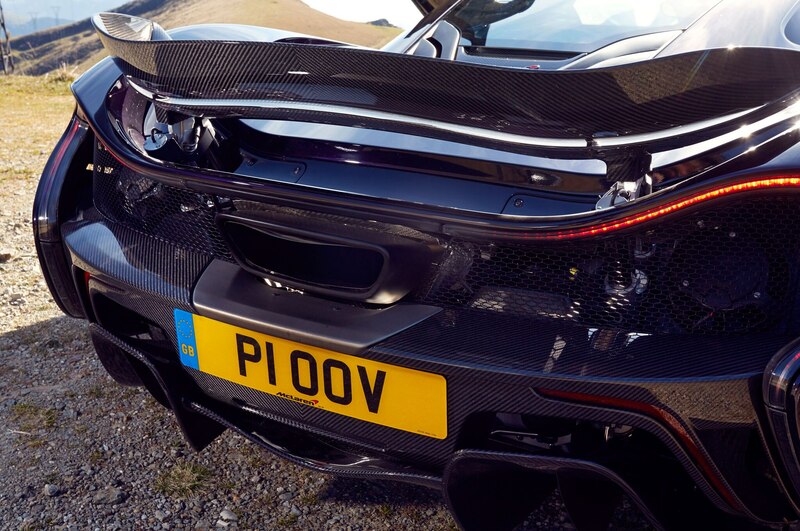 The P1’s combustion engine makes less power (727 hp), but the McLaren has more electric thrust (177 hp) to bring its total powertrain output to 904 hp. 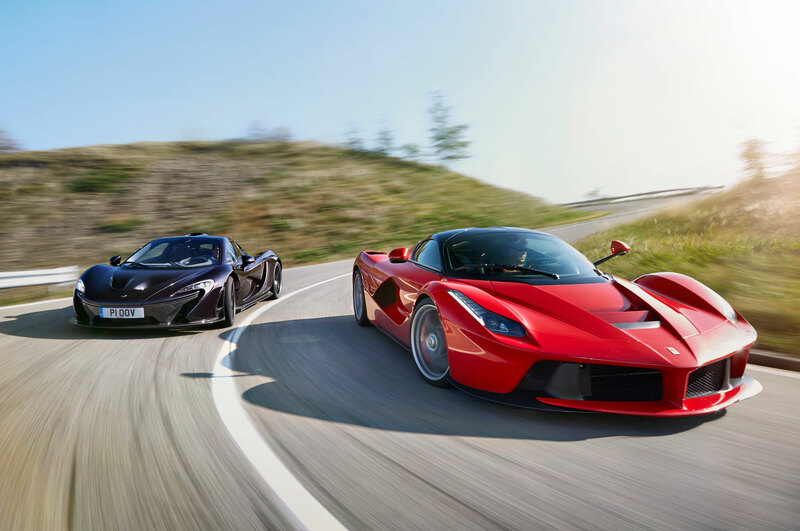 The McLaren has more torque (531 lb-ft vs. 516 lb-ft), but the LaFerrari is approximately 150 pounds lighter. Forget the snide Prius jokes because right here, right now, halfway through the second decade of the 21st century, hybrid is the new fast. Both these cars will hit 60 mph in less than 3 seconds, 100 mph in less than 5 seconds, and are limited—yes, limited—to 217 mph. 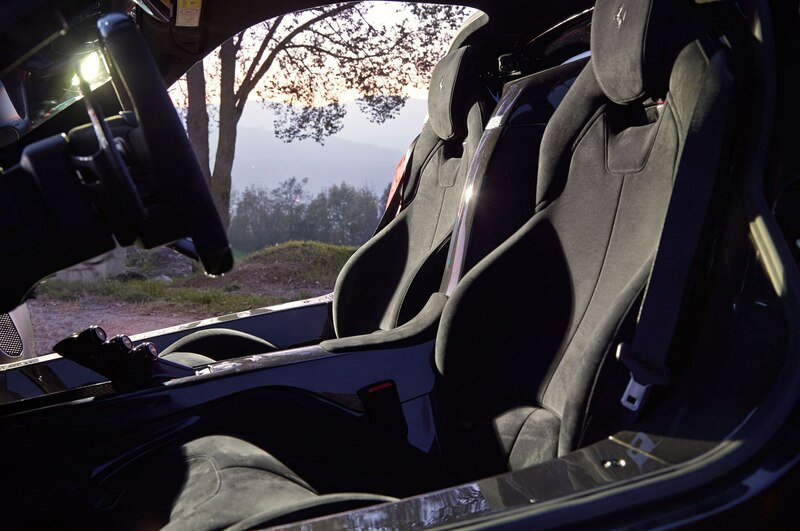 of the instruments, and the deliciously comfortable and lightweight seats aren’t. getting comfortable with the performance is a different matter. 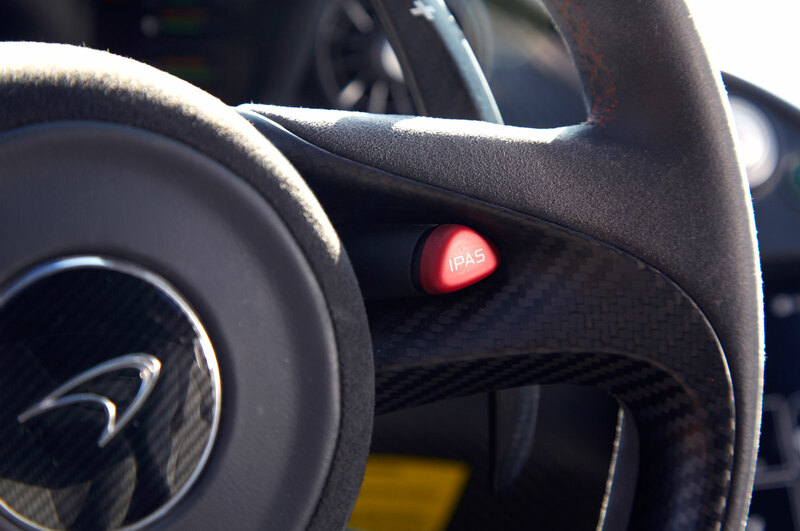 In an age when even Fiestas come with keyless start, it seems a tad absurd that a car as futuristic and expensive as the LaFerrari still requires you to twist a key to prime the ignition. Only then can you reach for the bright-red start button in the lower left quadrant of the steering wheel. The V-12 feels unfathomably smooth after the P1’s raw V-8. It’s quieter, too, but still urgent, with little inertia resisting a call for more revs. 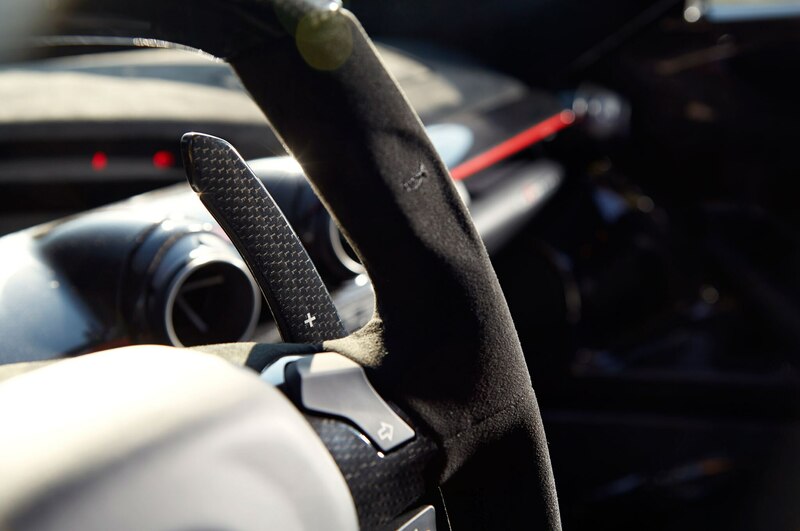 The metal shift paddles are fixed to the column in customary Ferrari fashion; the P1’s, fashioned from handsome carbon fiber, turn with the wheel. 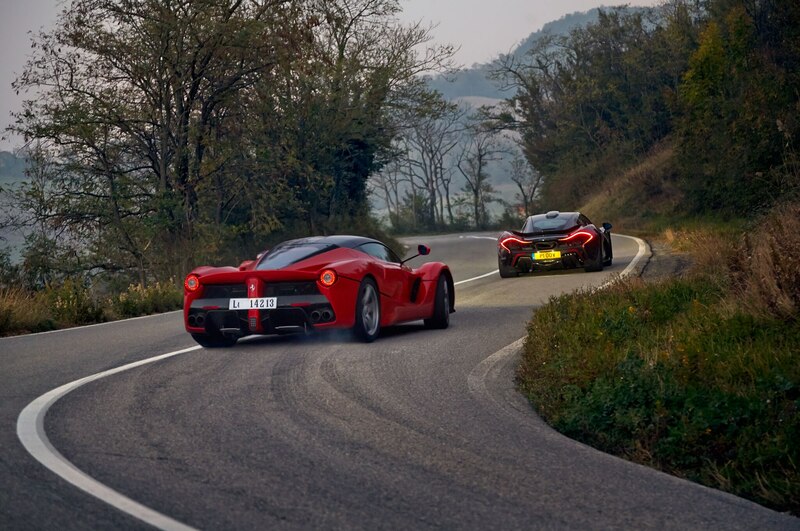 Can’t shake him: The Ferrari revs faster and is more eager to oversteer, but the P1 keeps pace on the roads around Maranello. 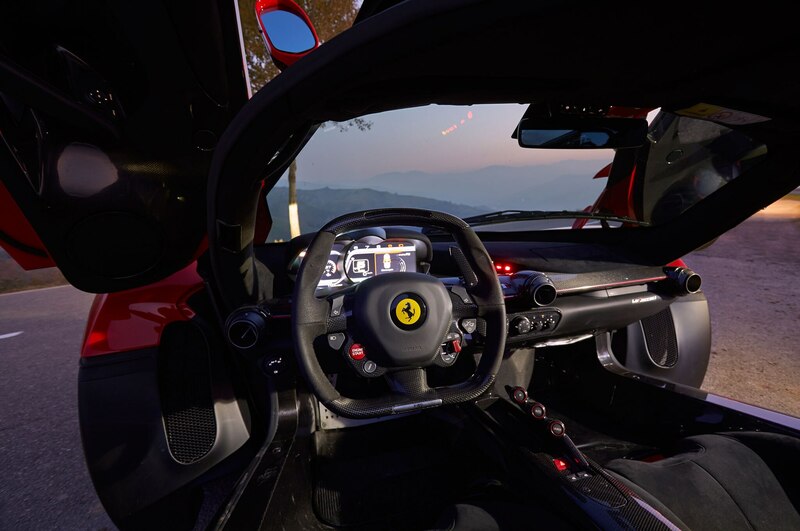 The Ferrari’s pedals are markedly offset, but that’s forgotten the minute you roll onto the throttle and the thing takes off like a rocket screaming toward orbit. 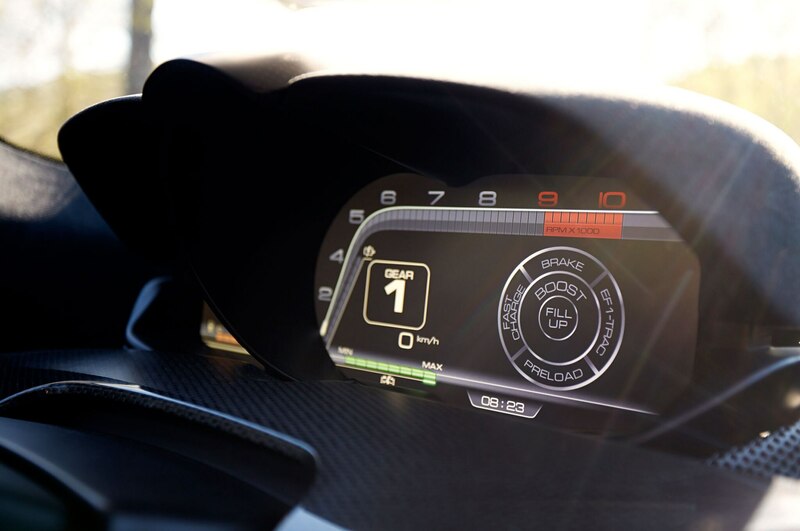 Both cars are designed to use their electric power to compensate for a torque shortfall (relatively speaking, of course) at low revs, but flatten the McLaren’s right pedal in a high gear, and there’s a measured pause before the action starts. 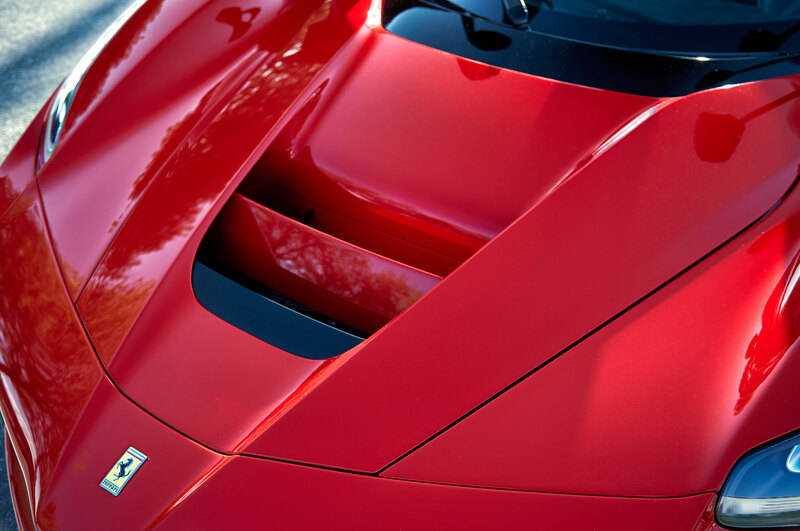 Try the same in the Ferrari, and the response is instant and urgent. No wonder the rear tires are a colossal 13.6 inches wide. 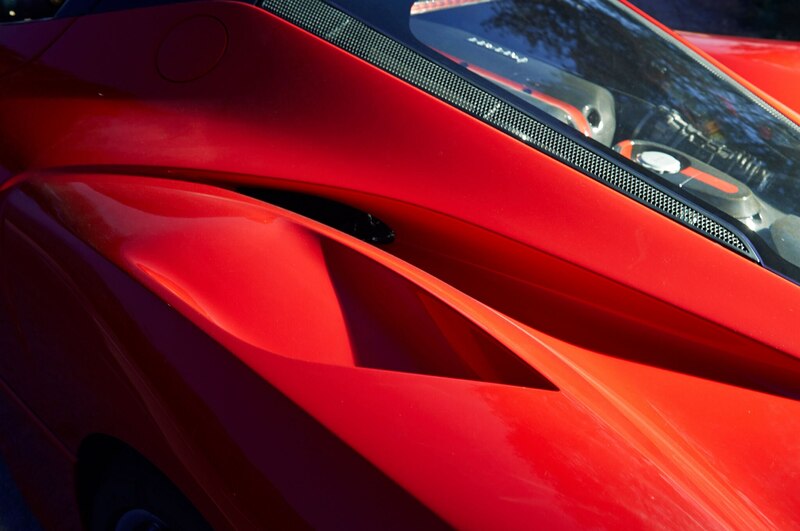 The peaks of the LaFerrari’s front fenders help you place the nose, but the forward visibility isn’t as good as the P1’s. 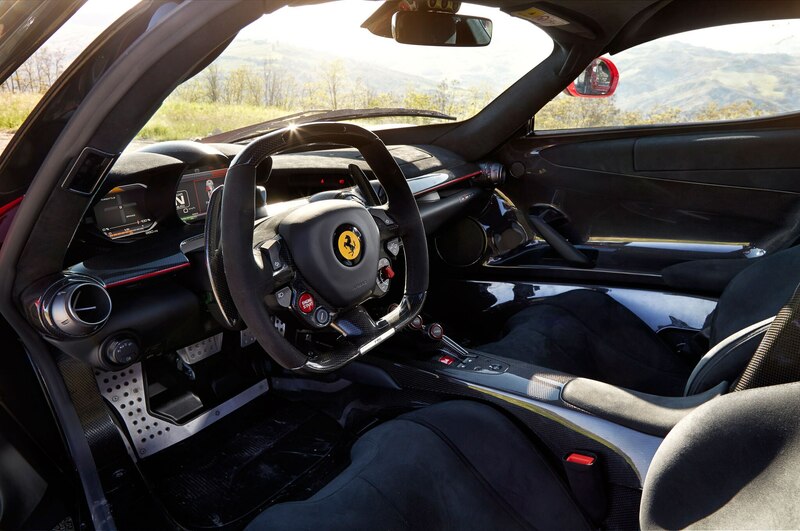 The steering—Ferrari’s first electromechanical system—is even sharper than in the frenetic 458 Speciale, with just under two turns lock-to-lock. 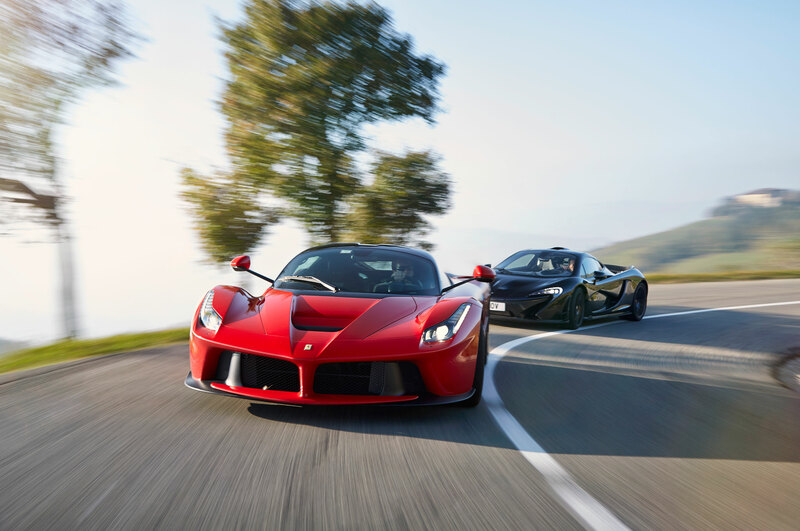 While you can settle right into the McLaren, the hyper-alert LaFerrari feels more alien and takes longer to trust, not the least because, although the steering is ultra-precise, there’s not a ton of feel. But trust it you must if you want to do more than scratch the surface of its talents. Fortunately, some familiar Ferrari traits help to calm the nerves. 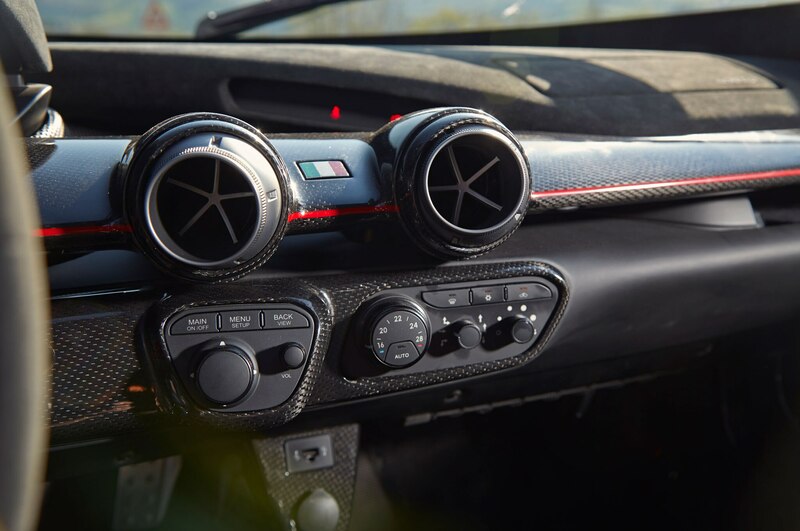 The steering wheel Manettino selector, for instance, is more intuitive than the McLaren’s twin, console-mounted rotary dials and easier to wrestle with in the heat of the moment. And the ride is unbelievably good. Thumb the damper button on the steering wheel, and both comfort and traction benefit as a result. 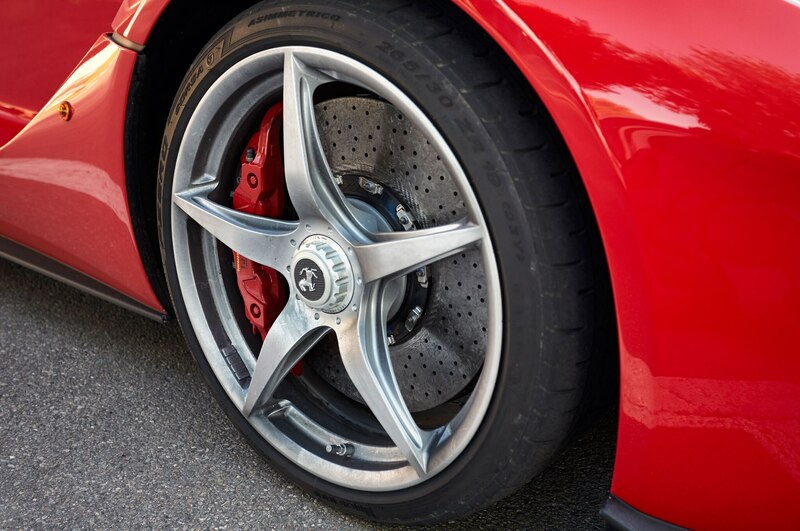 The brakes feel grabby at first; the energy regeneration system makes them hard to modulate when just tipping in, but there’s no doubting their stopping power. 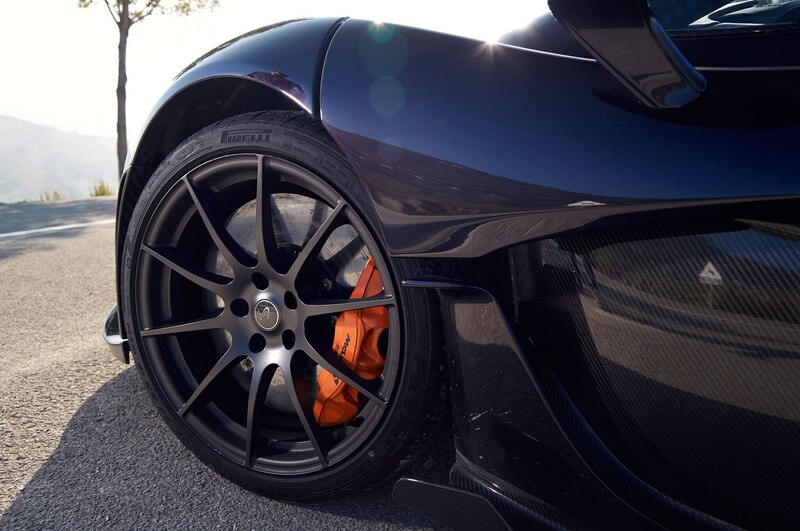 In the McLaren P1, you’ll notice a surprising amount of kickback through the wheel, more than in the quicker-steering Ferrari LaFerrari. 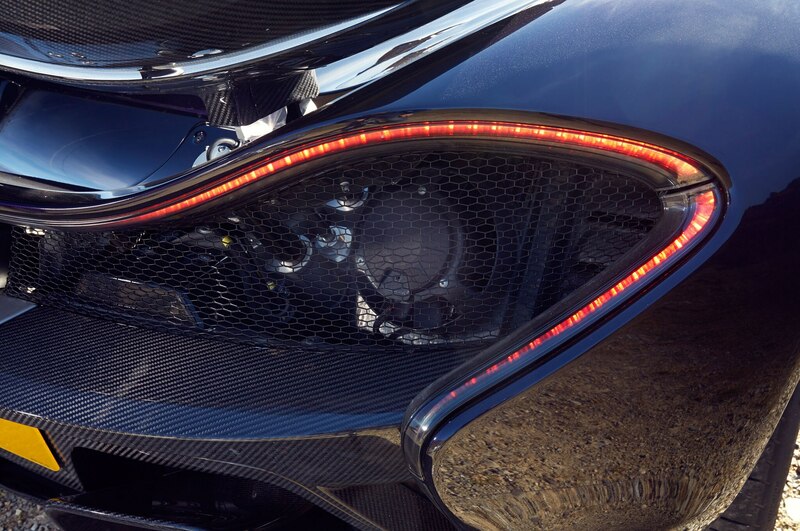 For all that, the McLaren P1 is more responsive in that first degree of steering movement off center, and the feel is exquisite. You couldn’t know more about the road’s surface if you’d raked the tar out and rolled it flat yourself. But there’s definitely more understeer to deal with in the McLaren, especially in slower, tighter corners where you’re too far below the powerband to neutralize it. 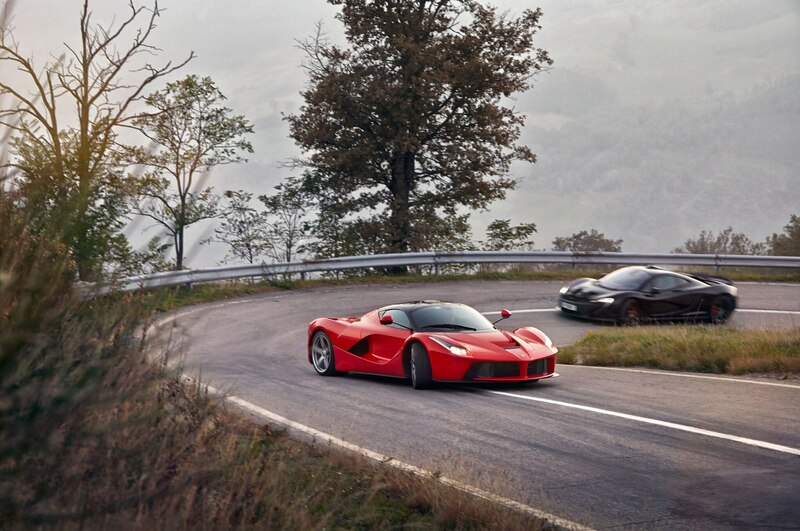 You have the opposite problem in the Ferrarj LaFerrari. 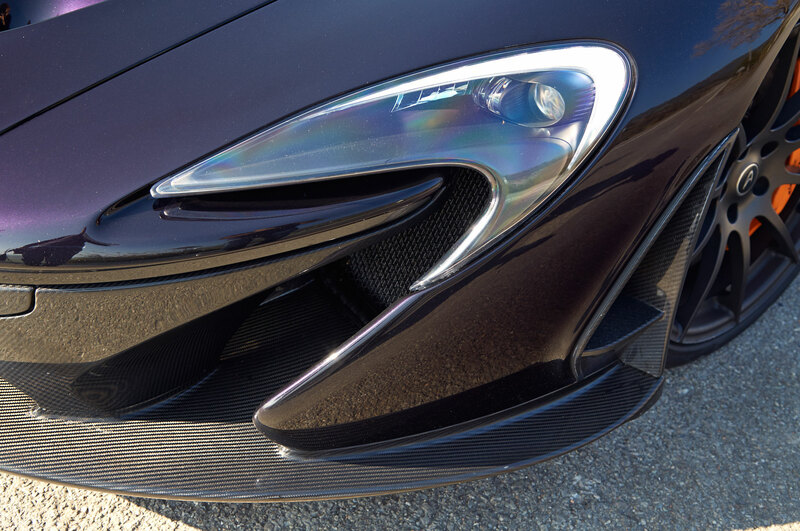 The front end bites hard, but even with rear tires that are a full 1.2 inches wider than the P1’s, that big hit of low-end torque that arrives when you get on the throttle slews the tail wide. 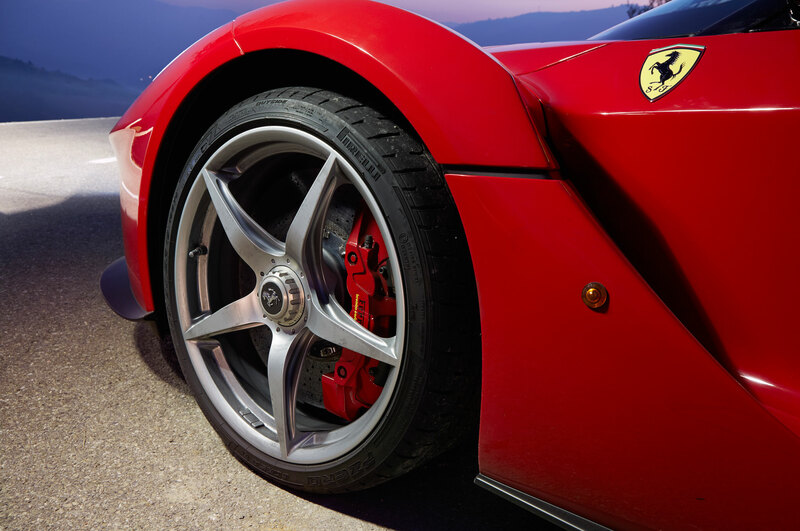 It’s fun to play with the slip angles, but wait until the tires hook up, bury your right foot, and the LaFerrari gathers speed at an incredible pace, piling on 20-mph increments a second at a time: 40, 60, 80, 100, 120 miles per hour. Just like that. The McLaren is more responsive in that first degree of steering movement off center, and the feel is exquisite. definitively demonstrate which of these two is faster than the other. 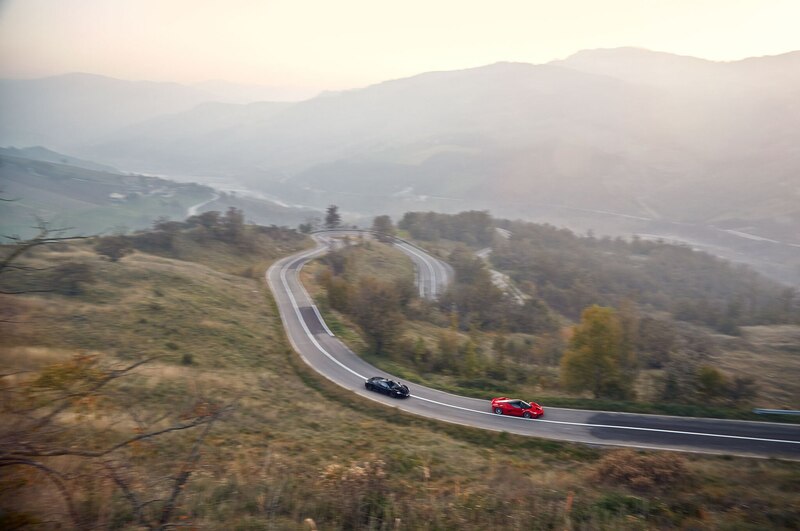 But on these winding roads near Maranello, with two reasonably competent drivers behind the wheel, the P1 and the LaFerrari are all but inseparable. 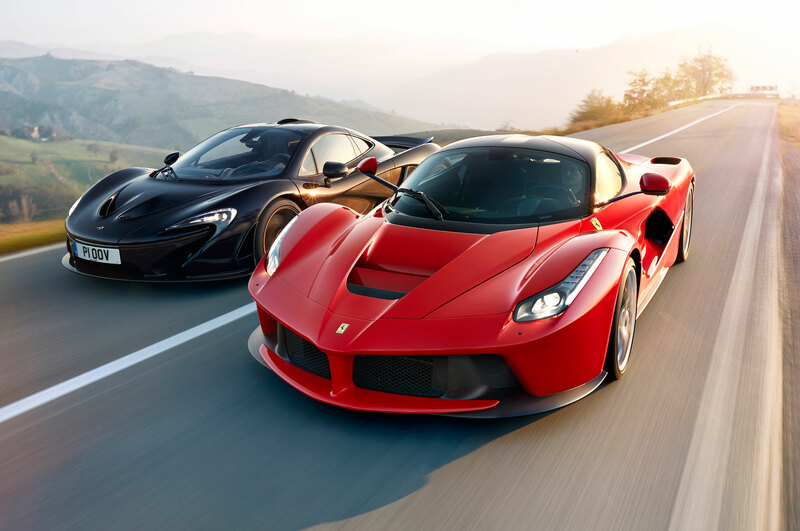 Many of the people who own these cars are so wealthy they may have bought both, and possibly a Porsche 918 as well. But suppose they weren’t all sold out, and you could pick only one. 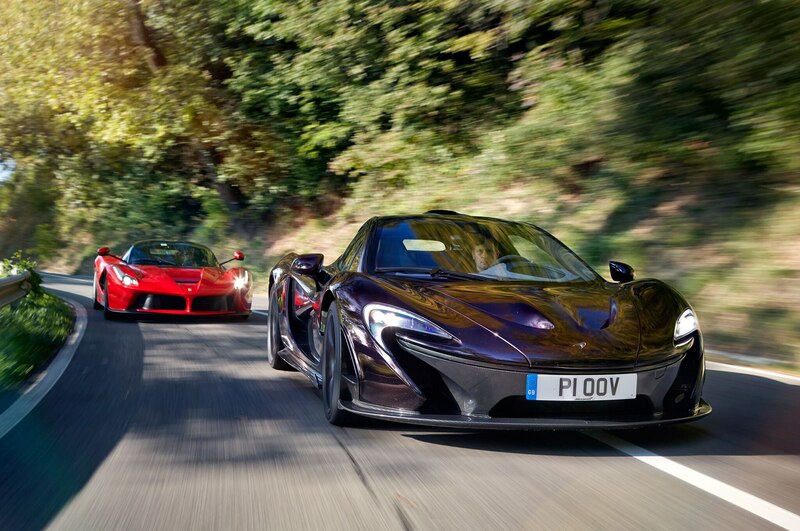 Which would you have: P1 or LaFerrari? 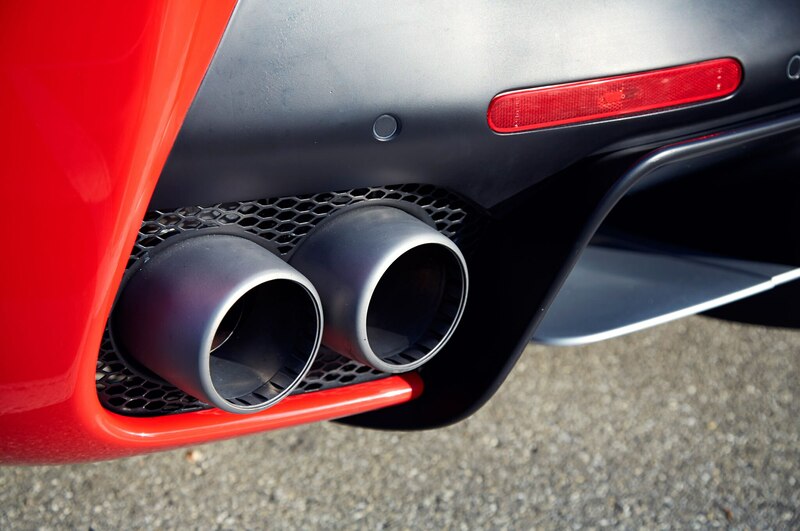 Ice-cool British tech or hot-breath Italian passion? 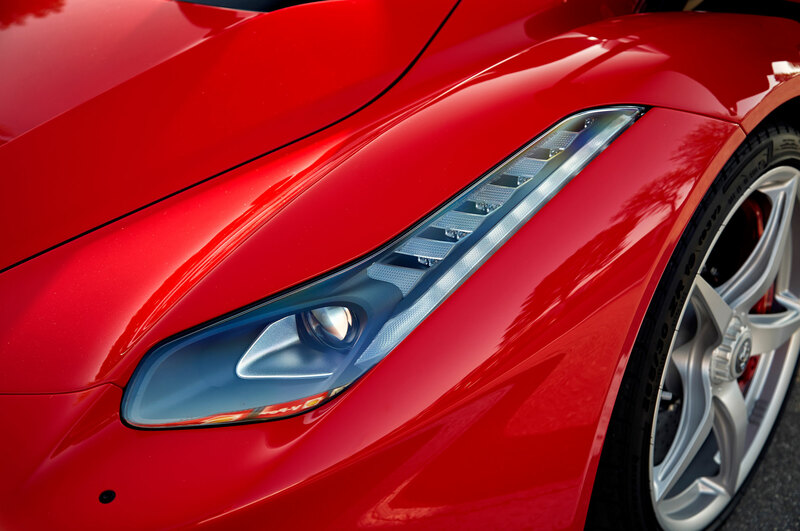 There’s no getting away from the fact that the Ferrari’s drivetrain is more impressive: faster revving, smoother, more soulful. 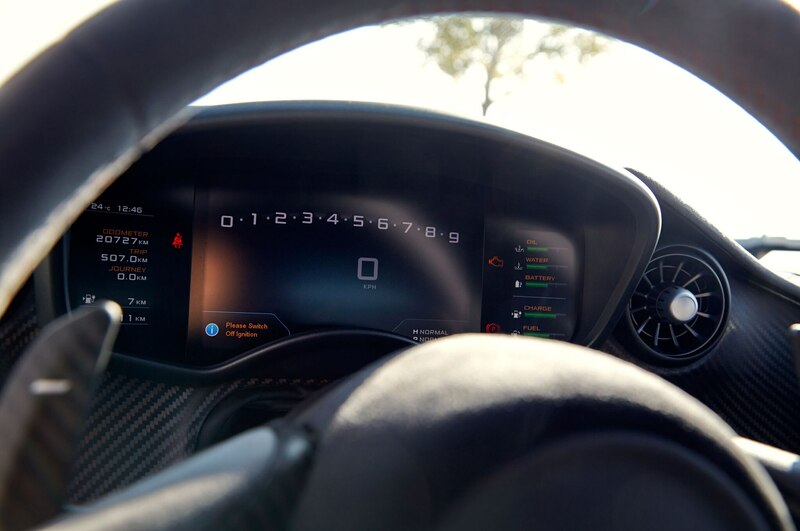 The McLaren is the easier of the two to drive at first; you click with the car from the moment you get behind the wheel. But there’s no getting away from the fact that the Ferrari’s drivetrain is more impressive: faster revving, smoother, more soulful, and so much lustier. And the chassis delivers the most outrageously responsive front end this side of a Le Mans racer. 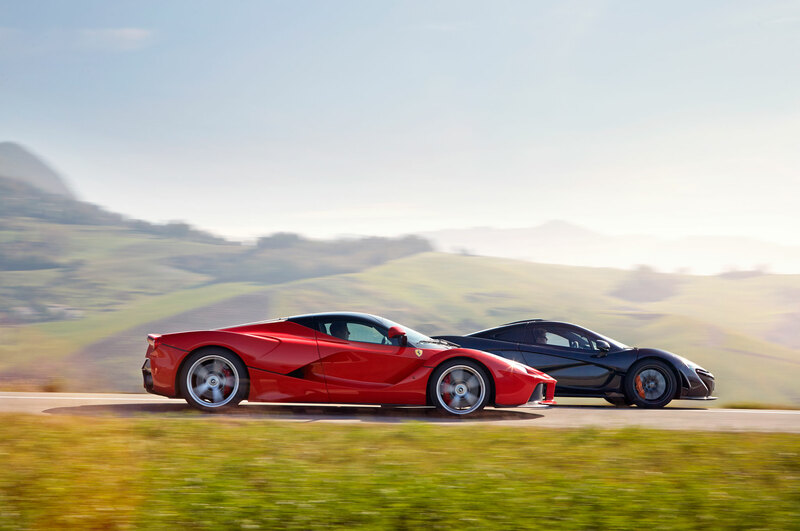 The Ferrari LaFerrari feels like more of an event because that’s what it is: a clean-sheet hypercar from the world’s most storied sports-car maker. 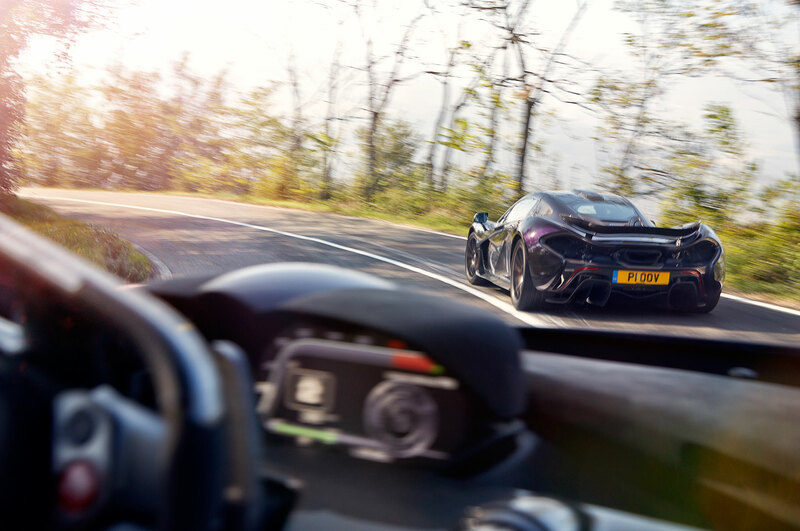 At this level, the McLaren’s reassuring similarity to the 650S is partly its undoing because, whatever any eventual track test or Nürburgring lap times might prove, the Ferrari will always seem more special. 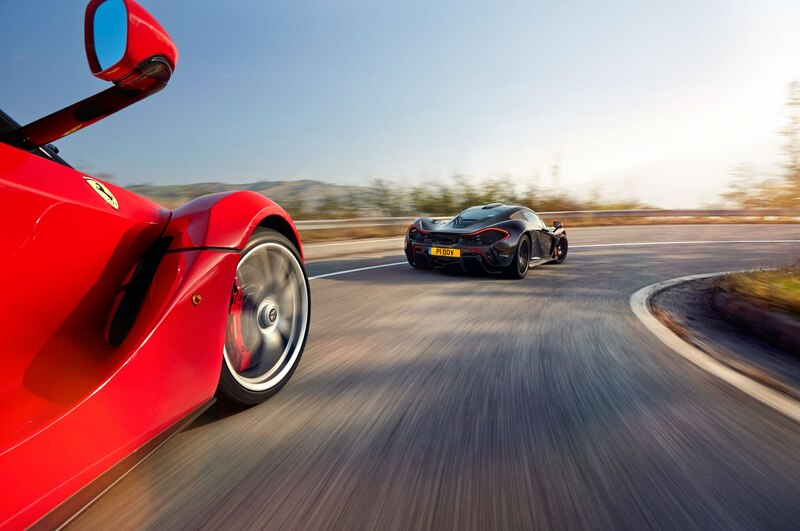 As staggeringly wonderful an achievement as the McLaren P1 is, the epochal LaFerrari is the one we’d write the million-plus check for. 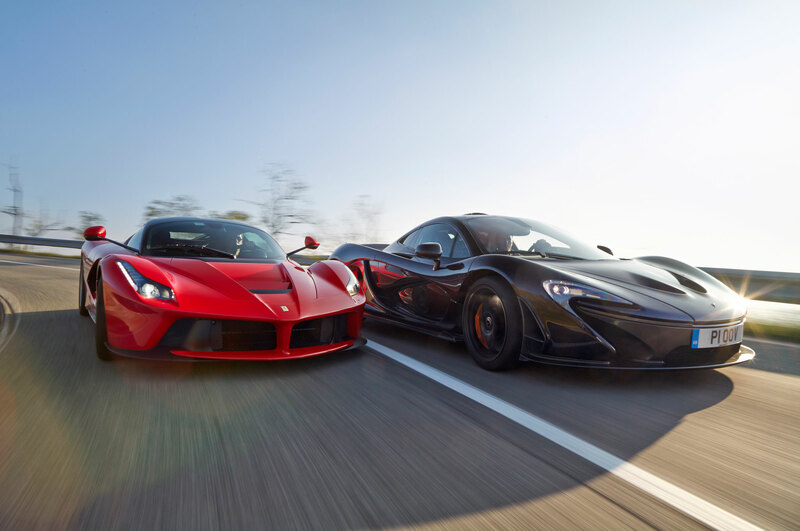 Keep reading to learn about the on-track rivalry between Ferrari and McLaren racing teams. Despite the recent success of Mercedes and Red Bull, Formula 1 aficionados know this as one of grand prix racing’s great rivalries. Ferrari is the only team to have contested every race of the modern grand prix era. The team made its debut at the 1950 Monaco Grand Prix and has won 16 Constructors’ and 15 Drivers’ World Championships. McLaren, which also made its F1 debut at Monaco, albeit 16 years after Ferrari, has eight Constructors’ and 12 Drivers’ World Championships to its credit. The rivalry flared in the mid-’70s when James Hunt and Niki Lauda battled each other for drivers’ titles and again in 2008 when McLaren protégé Lewis Hamilton beat Ferrari No. 2 driver Felipe Massa in a nail-biting finale to the season at the Brazilian Grand Prix. Both teams have also enjoyed periods of utter dominance: In 1988, McLarens won 15 of 16 races, and Ferrari won eight constructors’ championships from 1999 to 2008. 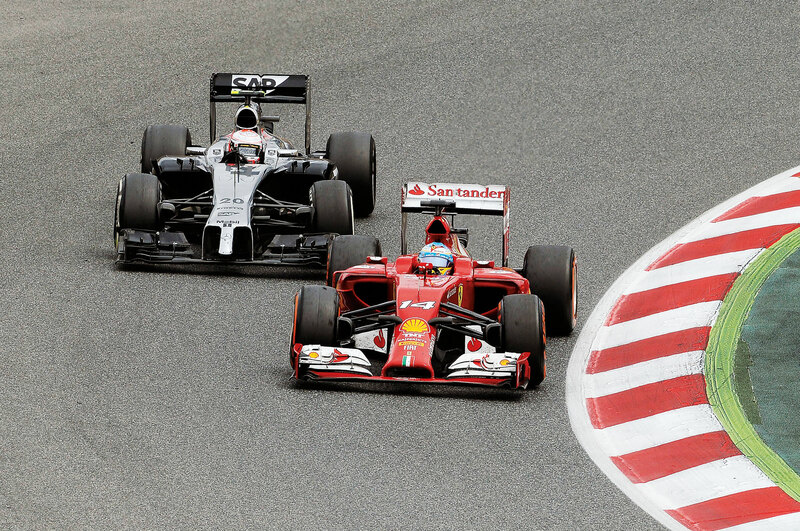 Wheel to wheel: McLaren’s Kevin Magnussen chases Ferrari’s Fernando Alonso at the 2014 Spanish Grand Prix. The Mercedes-Benz SLR Mclaren, built from 2003 to 2010, helped McLaren establish proper low-volume manufacturing capability at its high-tech Woking technical center, but Mercedes and McLaren engineers clashed frequently during the car’s development, and sales fell short of expectations. When McLaren and Mercedes ended their road-car collaboration (and as of 2015, McLaren’s F1 cars will use Honda, not Mercedes, power), Ron Dennis saw the opportunity to take the fight with Ferrari off the track. 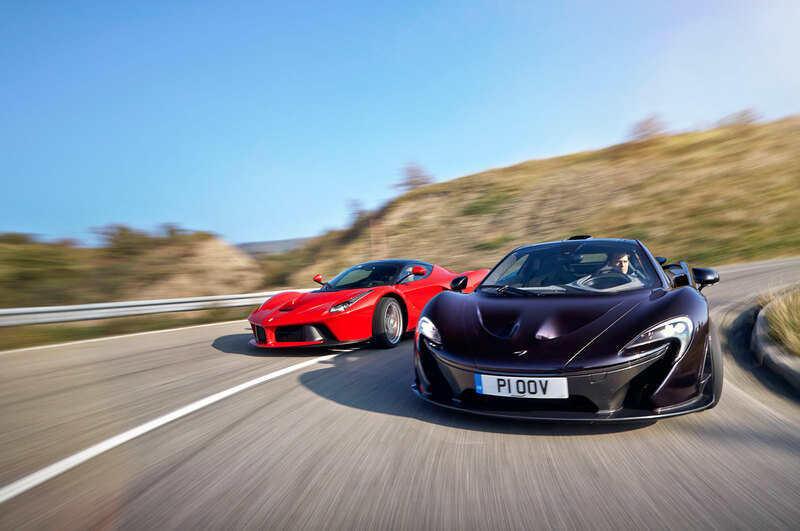 The prosaically named McLaren MP4-12C, launched mid-2011, was aimed directly at Ferrari’s 458 Italia. “I’d love to aspire to be Ferrari,” said Dennis in a surprising outburst of candor at the MP4-12C’s launch. But he couldn’t resist a dig at Maranello: “No disrespect to any sports-car brand, but few can list 20 World Championships and wins at Indy and Le Mans.” That’s true because not even Ferrari can claim racing’s triple crown, having never run at Indy. Old rivalries die hard.